Beam_Dynamic_LMC5000Coherent Incorporated, Santa Clara, California has officially announced the service and support discontinuation of the Beam Dynamics LMC 5000 laser cutter. Coherent’s customers are receiving letters this month in the effort to address the service discontinuation by years end. “Photovac Laser is well positioned to continue service on the LMC series”, says Photovac Laser President and CEO Christopher Zelich. ” We continue to service both the RF amplifiers and K150, K250 and K500 laser tube OEM packages for the foreseeable future, says Zelich. We also have former Beam Dynamics serivce representatives to help you in your continued use with on-site servie. 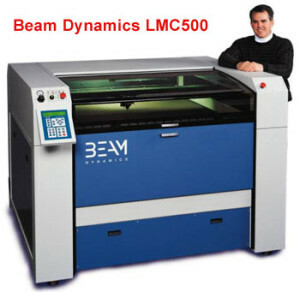 Photovac Laser will not support software or other spare parts for the LMC series at this time. Technicians are available around the United States. If Beam Dynamics customers decide to stop using the LMC series cutter, Photovac will purchase your defective LMC unit, defective laser tube and exciter for spare parts. “We have customers that want to continue using their systems, and we need machine spare parts, laser tubes and RF exciters to make that happen” Zelich also said.